Did you know that Twitter now has almost 300 million active users all around the world? More than 500 million Tweets are sent daily from every corner of the globe. 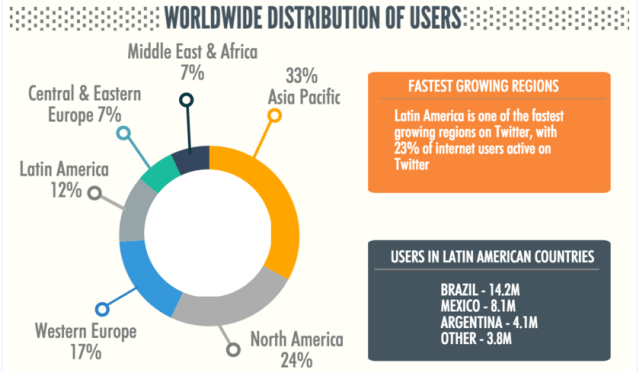 Surprisingly, more than 70% of all Twitter users are outside the U.S. Users from Latin America and Asia Pacific are quickly growing on Twitter making it one of the world’s most multicultural and dynamic social networking platforms. As a business owner, you can use Twitter to understand your target audience, customize your marketing message according to their needs and route them to your own website or sales funnel. But marketing on Twitter is not just about your follower count or ReTweets. It requires a careful analysis of your target market and then engaging with them in a manner that generates interest in your brand. That is why you need to have a well-defined strategy to convert Twitter users into your sales leads. Here’s are a few strategy pillars that can help you do that. What is the first thing a random user does when he finds your Tweets interesting? He looks at your profile to see who you are. Your Twitter profile is often the first real interaction point between you and your prospects. If your profile makes a strong impression on them, they’re likely to take your message seriously. On the other hand, if it fails to make an impact, you’ll find it hard to capture their attention. When your objective is to generate qualified leads from Twitter for your business, you need to optimize your Twitter profile. It should highlight your achievements and make you look credible in front of your prospects. If you ask me, it makes a pretty strong first impression. Pictures make a strong and immediate impact on the viewer. You can shape your perception with your Twitter profile image. Just like this profile image, if you have a broad smile on your face, you’re well-dressed and look confident, people will take you seriously. The URL immediately below your profile description gets a lot of clicks since people want to know more about you if they’re interested. 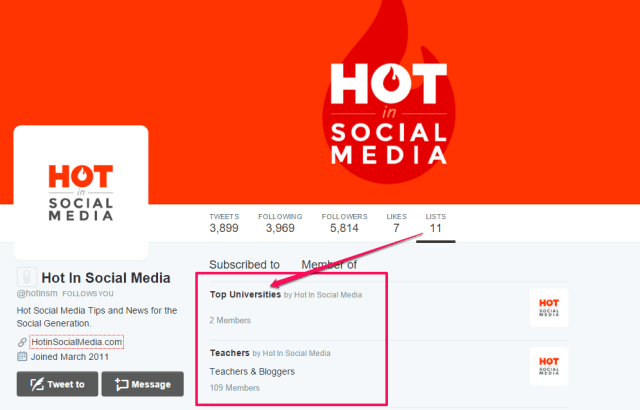 You can use it to link to your home page, or a specific landing page for Twitter users (I’ll discuss this later). 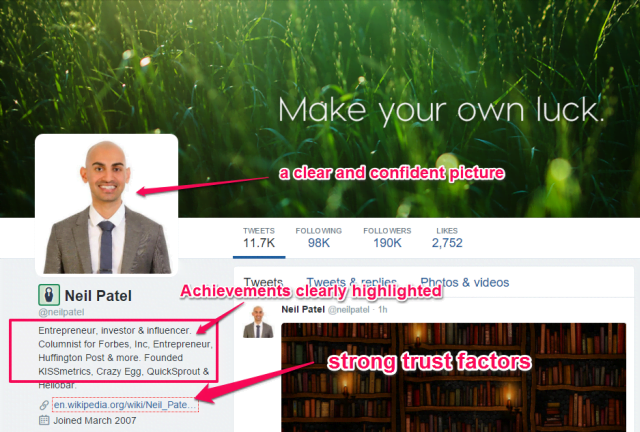 If your profile looks credible and engaging, you’re likely to generate a lot more interest in your marketing message. That is why you need to take it seriously. The secret to finding the right prospects for your business on Twitter is to engage regularly with your broader target audience. There’s a lot of noise of Twitter and people forget you the moment your Tweet goes down their timelines. That is why you need to approach them at the right times of the day in a variety of ways. One of the best ways to do this is by creating a Twitter list of your prospects. Search Twitter using the main keywords of your industry. Identify the people who’re talking about things related to your product or service, and add them to a separate list on Twitter. Regularly monitor this list, follow the right people, engage with them and respond to their Tweets. When someone follows you back, send them a direct message introducing your offer with a link to your landing page. All of this takes time and effort, but it works. 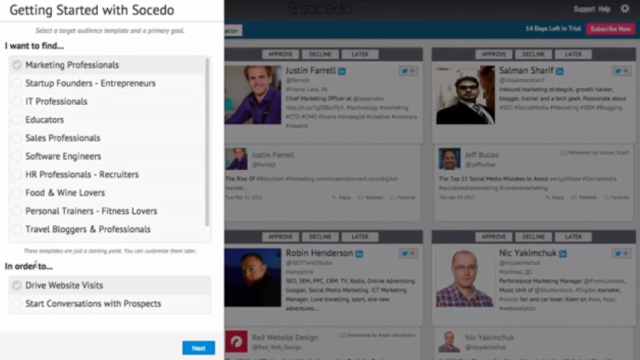 Thankfully you can automate most of these processes by using automated social media lead generation tools like Socedo. You can use this tool to automate the whole audience targeting, engagement and lead generation process. You only need to add your audience targeting criteria, for example, the interests of your audience or any particular hashtags, and Socedo will automatically find the most relevant people and engage with them. When someone follows you back, it will send them direct messages leading to your landing page. Automating this whole process helps you focus on closing deals with your customers and create better-targeted campaigns for your audience. But for this to work, you need to create a high conversion landing page as well (which is the next point on my list). Automating the whole lead generation process is great, but if the traffic from your Twitter profile lands on a poorly optimized landing page, you won’t be able to convert them into leads. A general landing page won’t work. You need to create a landing page that is tailored exactly for your audience and is in line with your Twitter strategy. It needs to be free of any distractions and should offer no exit points (links to other pages on your site) to the visitors. When a user clicked on this link, he was redirected to this landing page. 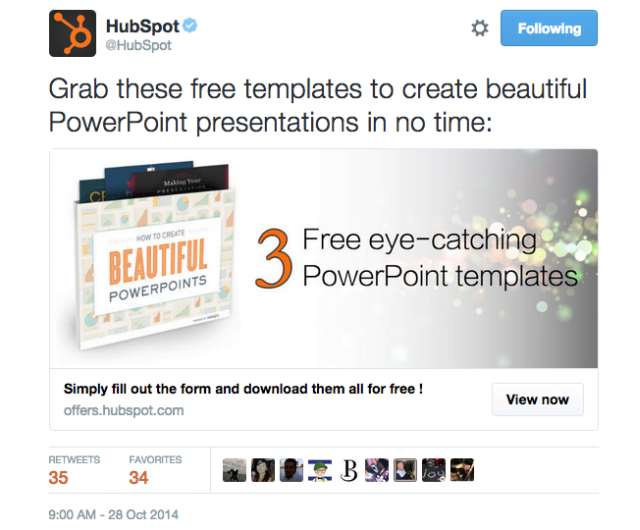 See how there’s complete uniformity in the Tweet and the content of the landing page. Another good example is how GoSpaces, an e-commerce store app, recently ran a Twitter campaign promoting their QR Code Generator. They created a special distraction free landing page for all the traffic routed from Twitter. If your engagement message on Twitter is closely aligned with your landing page, the conversion rates will be much higher, giving you a higher ROI. 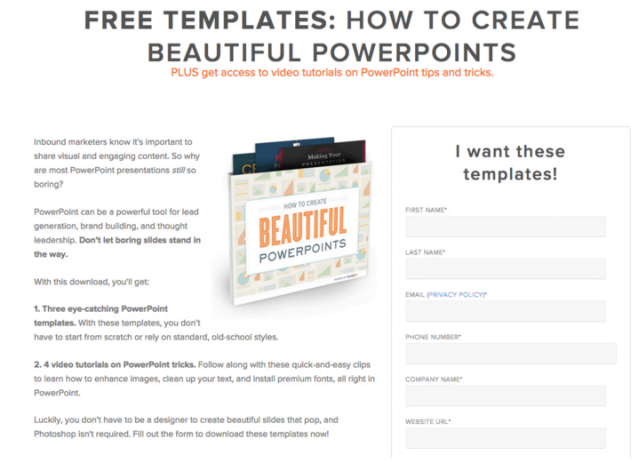 There are really just three secrets to a high conversion landing page. If your landing page has these three elements, you’ll be able to successfully convert a lot more leads than your competitors. Twitter is a goldmine for marketers if they’re prepared to carefully devise a well-rounded conversion strategy. If you have a clear idea who your target customers are, you can tailor your profile and your engagement message according to their needs. If you do the first two steps the right way, converting visitors into leads with a well-optimized landing page becomes much easier.